Androgens are a class of hormones that serve as ligands that bind to cellular androgen receptors. The androgen receptor is involved in a complex signal transduction pathway that ultimately results in greater expression of specific genes. 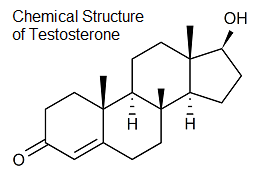 Testosterone is typically associated with all of the positive effects that androgens have on the male system namely the development and maintenance of muscle tissue, spermatogenesis, and sexual development. Testosterone also maintains sexual interest, fertility, erectile function and normal prostate growth in men. DHT has gained notoriety for causing undesirable effects such as hair loss (male pattern baldness), body hair growth, acne, and prostate enlargement. It is important to mention, that the body enzymatically converts T to DHT through the 5α reductase enzyme. There are various cases in which the male body might produce less than physiologically desirable levels of androgens. These conditions include hypogonadism, infertility, and aging. As males age, their endogenous production (bodies own natural production) of testosterone decreases with one of the most significant results being muscular deterioration (sarcopenia). Testosterone also maintains sexual interest, fertility, erectile function and normal prostate growth in men. With aging, there is a gradual decrease in testosterone levels, which can lead to loss of muscle mass and strength, reduced bone mineralization (resulting in osteoporosis and bone fractures), erectile dysfunction, decreased sexual interest, depression and mood changes. Therapeutic tactics have been developed to replace the fading androgen production with androgens of synthetic origin. This is known as HRT (Hormone Replacement Therapy) or more specifically, TRT (Testosterone Replacement Therapy). TRT is not without side effects, it can lead to enlargement of the prostate, and even possibly induce prostate malignancies (note that these effects are DHT-like). Physicians ty to find ways of fine tuning the administration of synthetic testosterone to hopefully avoid potentially negative outcomes, but the medical and HRT community has want of a better solution. 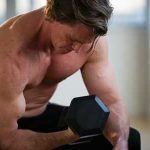 Recent medical research has given rise to a genre of compounds known to selectively interact with the AR in the beneficial ways that Testosterone does, and yet they almost completely avoid DHT-like effects. 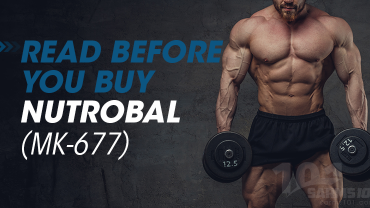 These compounds are known as selective androgen receptor modulators (SARMs). – Increased muscle mass by 1.4kg/3.5lb (That is contractile muscle – not just “weight”) over the 3 month period. – There was no affect on either prostate, skin, or endogenous testosterone prodcution (including Luetenizing Hormone and Folicle Stimulating Hormone levels). SARMs even have advantages over HGH, which is both very expensive and only able to be adminstered via injection. 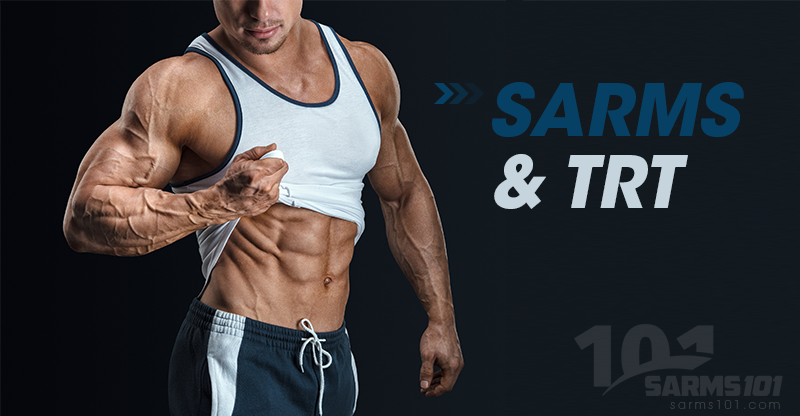 As future SARM use becomes more widespread, populations with androgen deficiencies will doubtlessly turn to SARMs to help them maintain muscular size and strength into old age as they try to avoid the pitfalls of current testosterone replacement therapy. It may even be plausible that aging itself might take on new meaning as widespread theraputic use of SARMs becomes the norm. There is the possibility of a man’s physical deterioration stopping at middle age and his physical composition remaining fairly constant until the time of his passing. The stoppage of age-related muscular deterioration can also lend itself to the preservation of man’s other functioning (a man who is strong can exercise, and through exercise he can preserve the functioning of his heart and vessels to a much greater extent than his weak, bed-ridden counterpart). It appears many of the labs are able to pin point exactly what receptors to bind to, which avoids many problems associated with regular TRT. So SARMs can have anabolic, libidio enhancing characteristics and will not effect hair loss (or may even grow hair), will not convert to estrogen, will not damage liver function, blood pressure or lipids and will also be orally available. If a subject wants to experiment with SARM use in addition to or as a standalone TRT protocol, a 3mg dose over an extended period as dosed in the GTx study would a good conservative starting period. 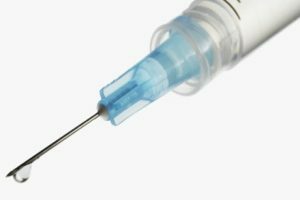 A higher dose of 12.5-15mg has shown to illicit a greater response in comparison to Testosterone than 3mg, without any negative side effects or much suppression. This will also permit the anabolic effects of Ostarine aiding in building lean muscle mass.